Have you organised your Winter adventure yet? 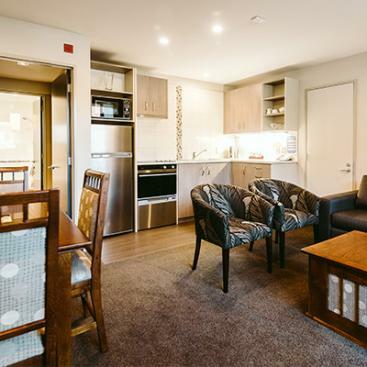 Our Apartments make a great home base for hitting the slopes. Come visit and rest a while. We look forward to welcoming you to your home away from home. 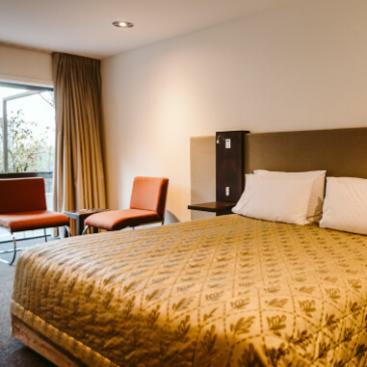 Active or relaxing - our comfortable Studios and Apartments are the perfect base to explore the best the Central Otago region has to offer. 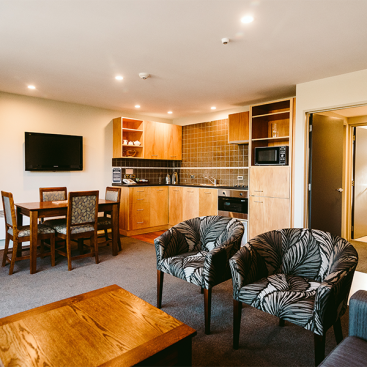 We offer a variety of Studio and Apartment accommodation in a relaxing garden setting – a short stroll from Queenstown’s beautiful town center. Our friendly and knowledgeable team is very happy to help with ideas and local advice on activities that appeal to your interests. A convenient base close to town – comfortable, spacious and at low cost. Smart and comfortable set ups for friends, couples or corporates. Stay a little longer, relax in your own little outdoor space and enjoy the comfort of a fully equipped apartment as a couple of small family. If you’re her to soak in the breathtaking mountain views from your balcony and enjoy the comfort of a fully equipped apartment this is the ideal set up for up to four people. 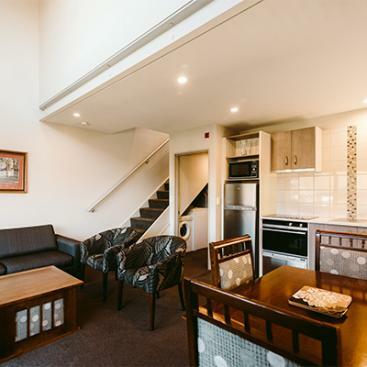 Whether you are friends, family, a ski group, or two couples, you can all enjoy the flexibility of these Two Bedroom Courtyard Queenstown Apartments. 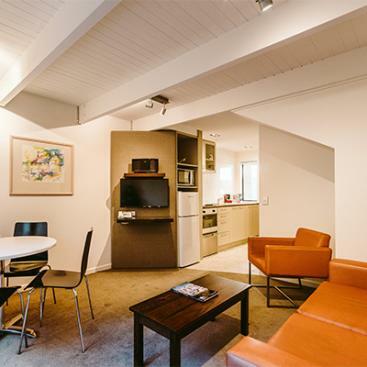 Luxurious Two Bedroom Balcony Queenstown Apartments are designed as a mezzanine duplex. Everything was great from check in to check out. The people were friendly and helpful. The room was clean and it was so lovely to have bed made and a wee tidy done on our second day. The bed was super comfy and we both had a great sleep. The continental breakfast was superb and a great price. A wee view of the lake from the dining room was enough to make us feel relaxed and also to whet our appetite to walk to town which was so close and get a close up look at the beautiful Lake Wakatipu. I can’t say enough how much I enjoyed staying here. Highly recommend. Thoroughly enjoyed our stay at Garden Court. Extremely helpful staff, we kept rooms with the option of self service rooms (which we took). Free WiFi, storage for ski gear and a spa room. Only a short walk into the heart of town which we enjoyed taking! We had a great stay at Garden Court in a one bedroom apartment at the back overlooking the lake. It was warm and comfortable, with heated tiles, a wall heater, and electric blankets. The housekeeping team are excellent. The room was self contained which was handy, as is its proximity to town - only a five-ten minute walk with a bit of uphill on the way back to help burn off dinner. They also offer a continental breakfast each morning which was great for the ski days. Their receptionists were great - particularly the Irish lady who helped us order Pedro’s for delivery and was able to answer ashore other questions during our week long stay. We would stay again next time we are here. Great location, arms throw away from town. 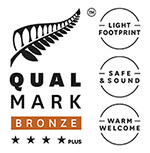 Fantastic property to have as a base while visiting Queenstown and surrounding areas. The close proximity to town and new kitchen made it easy to decided whether to stay in for dinner or simply stroll down town. Lovely place to stay in Queenstown. Very close to Shops and all the activity area. Rooms are also neat and clean equipped with all the facilities. Looking forward to book them again! Very friendly receptionist Very comfortable studio apartment Very near to town center. Will recommend to friends n family. Our stay at garden court was absolutely flawless, from the service to the wonderfully cleaned room & ALL the facilities were just amazing when we visit Queenstown again we will be staying here it’s a short walk from town the ski buses collect and drop off point is just out the front, what can we say but it was simply AMAZING A HUGE SHOUTOUT TO ALL our lovely cleaning staff you are all tops the cleanliness was 5 star I truly truly loved coming back to our room it felt like home, to our lovely reception ladies also the warm friendly welcome and service provided excellent, also the stunning views from our apartment were sensationally EPIC! Best hotel with best staff.. 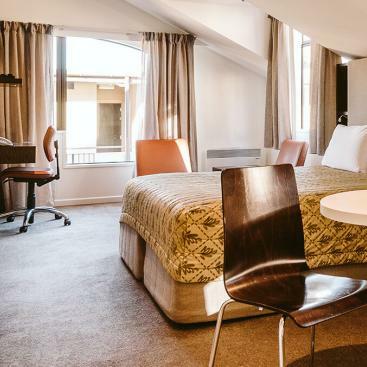 Excellent hotel with excellent location and excellent staff who went out of their way to help us and made sure that we have a comfortable & pleasant stay. Would Definitely recommend to everyone who like to stay in a very clean nice & comfortable hotel.. The Girls (staff) were lovely, very friendly, nothing was a trouble. Very comfortable, clean, gardens a picture and location convenient. We would highly recommend.